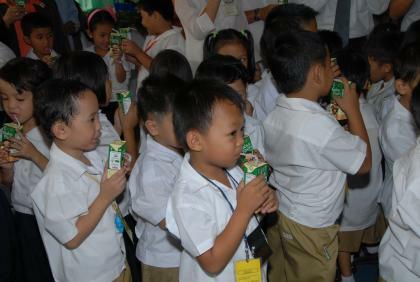 Pasig City (10 November) -- Some 85,000 grade 1 students in 271 public elementary schools are the fortunate beneficiaries of milk and biscuits as the country launches Food for Progress Act in Pasig City yesterday, November 9. 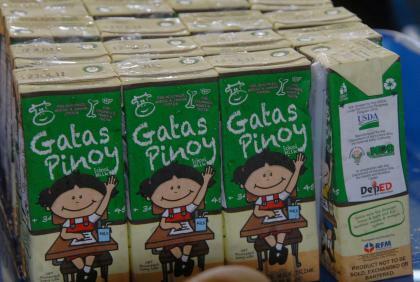 Signed last November 10 2009, Food for Progress Act is an agreement signed between the United States of America and the Philippines which aims to provide fortified biscuit and chocolate milk for school children in areas affected by flooding caused by typhoons Ondoy and Pepeng last year. The typhoons which came in succession wrecked havoc in Metro Manila and in provinces in Central and Northern Luzon, leaving a combined damage of P1.4 billion in school property and equipment. 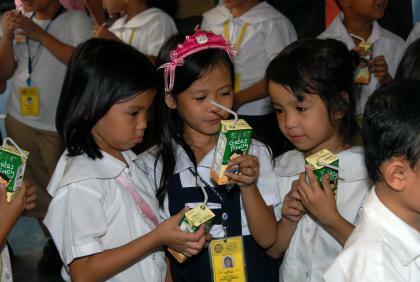 Food for Progress Act is among the many manifestations of private-public partnerships espoused by President Benigno S. Aquino III. 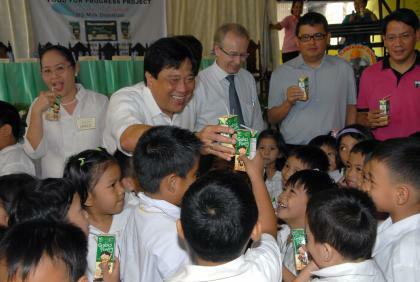 In response to calls for aid, the US Government committed to donate six hundred eighty metric tons of non fat dry milk to the Philippine Government which shall be processed into ultra high temperature milk and fortified biscuits to help improve children's nutritional condition and, consequently, improve school attendance. The Department of Agriculture (DA) was identified as the main entity responsible for the handling and distribution of all donated commodities. Meanwhile, Republic Flour Mills (RFM) Corporation committed to produce five million packs of UHT milk chocolate drink and five million packs of biscuits from the 680 metric tons of non-fat dry milk as partner-processor under the project. 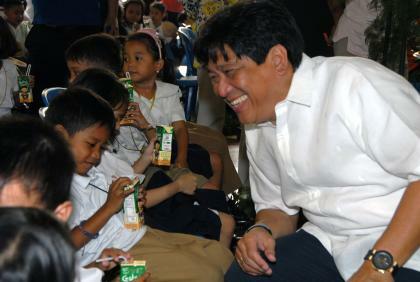 "With the launching of this program, we begin nourishing students in areas that were hardly hit by the two typhoons. Even with just sixty days of feeding, we can give them a fighting chance to be back in shape. 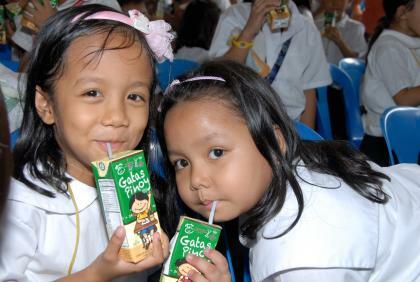 We want them to be healthy enough to fully recover and face the rigors of schooling and learning," said Education Secretary Armin Luistro. 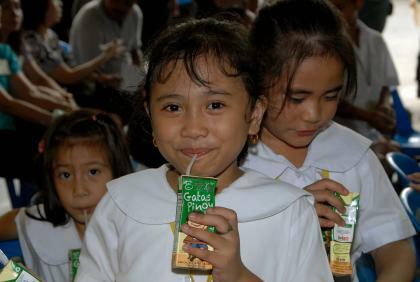 Included in the hundreds of schools that will benefit from this program are those located in the National Capital Region and Regions 1, 3 and 4-A or CALABARZON. "We are grateful to our friends in government, the private sector, the ordinary Filipinos and the international community for their show of solidarity during such difficult time," expressed Luistro. DepEd looks forward to more partnerships as we continue to look for means in order to help our countrymen get back on their toes especially after typhoon Juan battered Northern Luzon causing torrential rains that triggered destructive flooding.